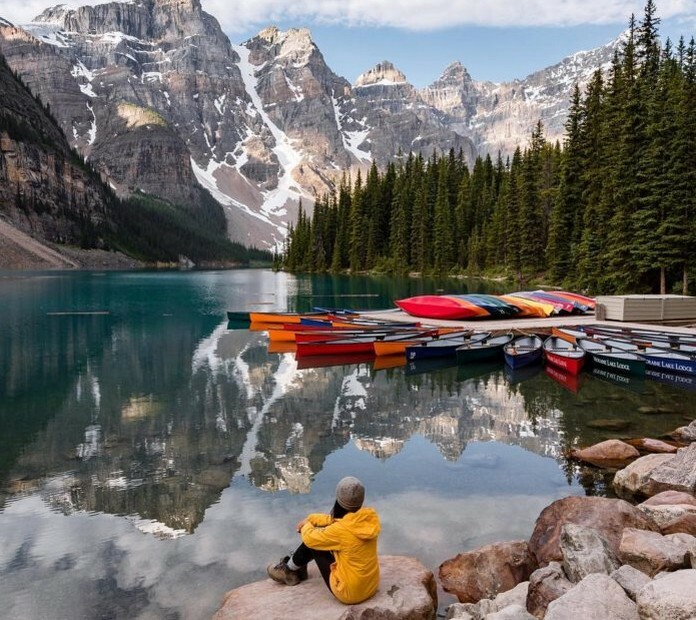 The biggest draw at Moraine Lake is the sheer variety of hiking and walking trails, the most popular of them all being The Rockpile Trail. The 300 meters long patch has tourists thronging on it. Witness the most photographed location of Canada from Rockpile’s peak.